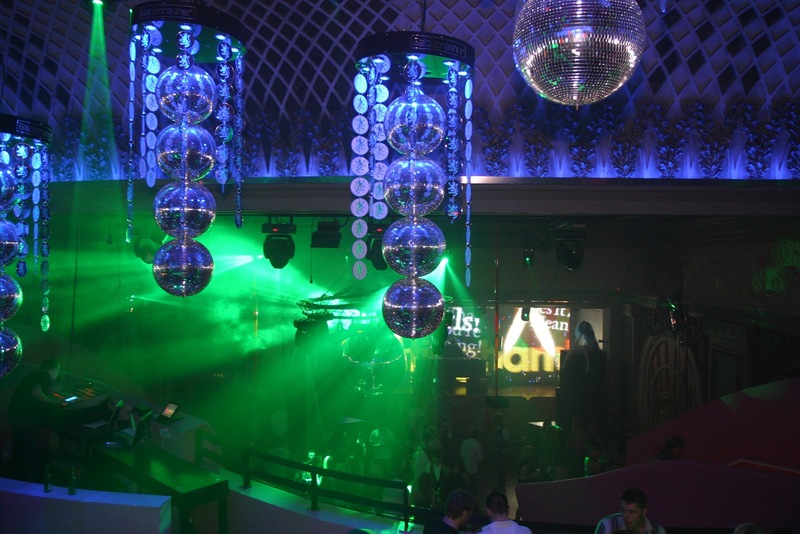 Instyle LED supplied MR16 RGB downlights for custom features at Nottingham's Gatecrasher. Gatecrasher were looking to colour-change custom made features. The features were a selection of 4 large glitter balls on top of each other surrounded by hanging Gatecrasher logo discs. 8 x Instyle LED's 3w RGB downlights were then mounted around the edge of the base circle holding the transformers. The idea was then to hang these from the ceiling and linking them to be fully controlled from the main DMX desk. The effect is stunning and adds a magnificent feature to the ceiling, the customer was extremely happy. The light thrown from the powerful Instyle LED RGB fittings lights up the glitter balls and also the Gatecrasher logo discs. One Instyle LED IND36 powerdriver were used in each feature - this includes a power supply and a dmx receiver in one. Cat 5 cable was then taken from one feature to the next and from the last feature to the dmx desk to give full control.